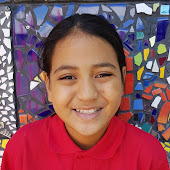 I am a Year 7 student at Pt England School in Auckland, NZ. I am in Room 1 and my teacher is Mrs Moala. this term we were doing our Hyper Studio and i learned how to draw and how to put it on my imovie my movie is called incy wincy spider I hope you like it. Kia ora and greetings to my blog. My name is Punaiuru. I am a year 7 at Pt England School and I'm in room one home room. My favourite takeaway is Wendy's because I like the ice-cream sundae. It is very soft. My favourite sport is netball and I always play master at school with my friends. I love going to school and I have 2 sister and 5 brothers.